The dazzling variety of Japanese woodblock prints, from serene landscapes to portraits of flamboyant actors and courtesans, is captured in this captivating volume. 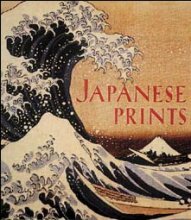 The book is divided into four chapters: "Primitives" (the term for Japanese woodblock prints produced between approximately 1660 and 1765); Courtesans; Actors; and Landscapes. Most of the images are printed in multiple colors and range from the seventeenth century to the late nineteenth century. The artists include such masters as Hiroshige, Hokusai, and Utamaro, who are represented by lesser-known treasures as well as by some of their most celebrated series, including Thirty-six Views of Mount Fuji and One Hundred Famous Views of Edo. James T. Ulak, formerly a curator at The Art Institute of Chicago, now lives in Washington, D.C.